These protein wraps/pancakes really are so simple to make and can be used for a good breakfast to go. I often eat quite habitually with breakfast and have about 3-4 different options that I have with this one being one of those go-to dishes. You can eat them on their own or with just some butter or nut butter on top. 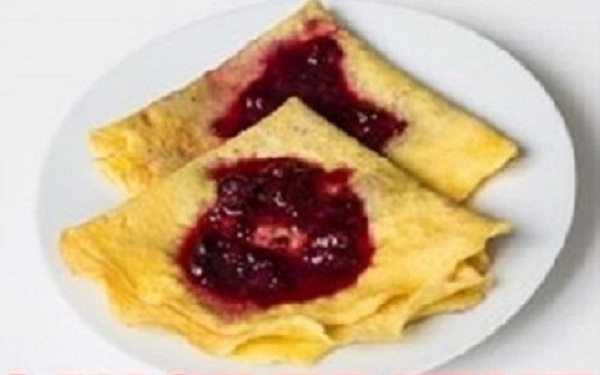 If you are able to tolerate them then adding some berries on top also makes a good addition. Turn the pancake over and cook on the other side for a further 2-4 minute or until golden brown. Serve warm with a nut butter and strawberries or any other low sugar fruit. They are best served warm but they can also be eaten cold as well and make a really good snack.